"The integration of productive chain with an approach to sustainable manufacturing"
The event will take place in five star hotel Windsor Barra. The hotel is located at the beach of Barra da Tijuca and surrounded by an abundance of natural beauty. The neighborhood Barra da Tijuca, also known as the Modern Rio, is both sophisticated and vibrant and offers innumerous attractions like bars, trendy restaurants, modern shopping centers with miles of window displays of all the famous brand names, sports of every type, theme parks and ecological reserves. Only 9 miles from Ipanema and 11 miles from Copacabana Beach with quick and easy access to the airports by the Linha Amarela (Yellow Line) highway. 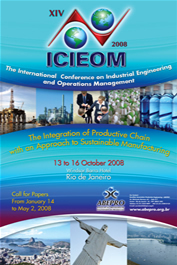 - Sign up for the XIV ICIEOM: starting August 2008.
from 13 to 16 October 2008. 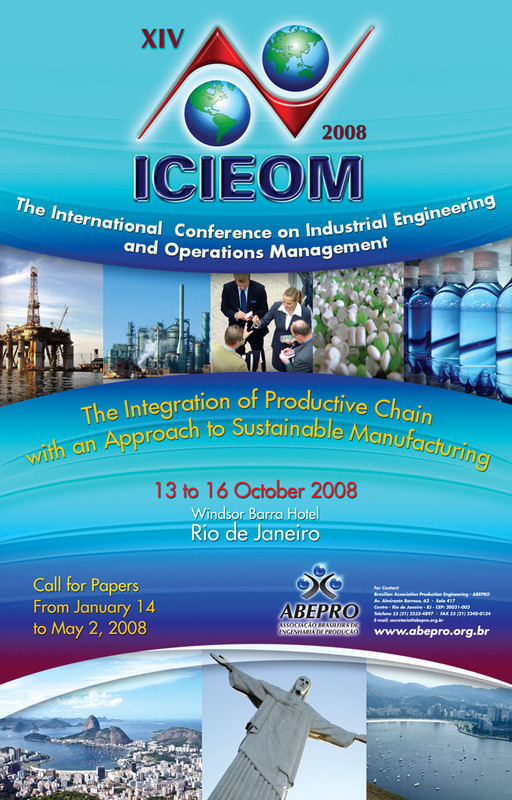 This year it will be hosted by the Brazilian Association of Production Engineering, which has its headquarters in Rio de Janeiro.